Then, a month or so later, you realize that you never stopped advertising for the job. Even now that the position has been filled, you’re still unwittingly spending money to push your job ad out to your target personas. Sure, this might still help improve your talent pool a little (if it gets people interested in your company without being annoyed that the job has vanished), but it’s hard to think of it as anything more than a waste of money. All of a sudden, your cost per hire isn’t so impressive—all because of a big area of disconnect between your recruitment marketing and your actual hiring. Though the specifics vary, these kinds of mishaps occur in marketing and advertising processes all the time. Why? Because the left hand doesn’t know what the right is doing. Or, more specifically, the marketing team doesn’t know what the ATS is doing. Historically, applicant tracking systems (ATS) have gotten a bad reputation. The popular narrative is that your ATS is likely to have poor UX and bizarre access control, leading to information silos in which recruiters can’t easily access mission critical information. On top of that, it will only offer byzantine application flows that will put off many of your applicants and leave others languishing in obscurity while their CVs and resumes remain perpetually unread. In this way, the typical ATS solution becomes something of a black hole: applicant information goes in, but it never really comes out again—at least not in a useful way. Of course, this narrative doesn’t really apply in the same way to many modern applicant tracking systems, like SmartRecruiters or Greenhouse, which are far from being UX deserts. But even with a system that offers high levels of functionality and ease of use, it’s possible for silos to crop up. No matter how sophisticated your ATS is, if it’s walled off from other hiring functions it will inevitably lead to exactly the kind of disconnect we outlined above. It might be easier for candidates to apply and hiring managers to access candidate information, but you can still find yourself in a situation where you’re accepting applications for a post that’s already been filled. Or worse, spending money to fill a position that’s no longer open. So, what are recruitment marketers and hiring managers to do? Well, for starters, it’s time to start prioritizing integration. By this we mean that whatever technology you’re using for your overall recruitment marketing efforts should be able to share information and otherwise meaningfully connect to your ATS. At SmartDreamers, for instance, we offer connectivity between our recruitment marketing automation platform and popular applicant tracking systems like SmartRecruiters, SAP SuccessFactors, Greenhouse, and many others. For each one, the data in the ATS synchronizes with our platform as frequently as every 5 minutes. If a job is added, removed, or updated in the ATS, 5 minutes later that information is available in SmartDreamers. If a client is using SmartDreamers Landing Pages to streamline the UX in their application flow, our platform can also send applicant information directly back to the ATS in order to streamline the review process. By offering this level of integration, we work to counteract the kind of disconnect that we outlined in the first two paragraphs. Instead of working at cross purposes with hiring managers and relying incomplete information, recruiters can run marketing campaigns with a clear view of what’s going on behind the scenes. When a job opening is closed, the associated marketing campaign automatically stops running, meaning that there’s no risk of throwing money down the drain because of a careless error. If the requirements for a particular job posting get updated in the ATS by a hiring manager, recruitment marketers can see the changes and adjust their strategy accordingly. We’ve already outlined some of the pitfalls of a recruitment software ecosystem that can’t be effectively integrated—but is the whole point of integration to prevent lost value? Of course not! On the contrary, the kind of integration we’re talking above can have a positive impact on your entire recruitment flow. Let’s picture a new scenario: you roll out a general employer branding campaign that leads to a streamlined careers page hosted by your automation platform. When candidates visit your landing page and fill out an application, their CVs are automatically sent to your ATS, where they can be easily accessed by anyone on your team. 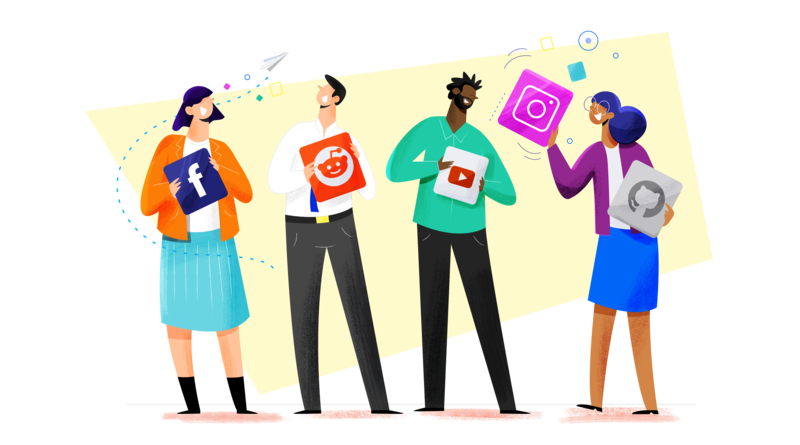 Based on these applications, your team is able to gain a common idea of how many impressions, clicks, and applies you’re getting and a sense applicant quality. If you need to make adjustments to your strategy, it’s easy to see where the improvement is needed; if you fill your open positions, your position-specific campaigns will stop automatically. When new positions open up, they’re imported automatically, and you can roll out new campaigns with just a few clicks. I don’t know about you, but from my perspective this sounds like a recipe for stronger talent acquisition. Why? Because it gives you the power to focus on the things that matter—things like rolling out creative, eye-catching ads that will spread your employer brand and inform applicants of your EVP. With a clear, holistic view of all your hiring and recruitment activities, you can make smarter, faster decisions. More than that, you can implement those smarter, faster decisions with greater ease, certainty, and accuracy than ever before.